Slotventures: 4th of July Carnival! 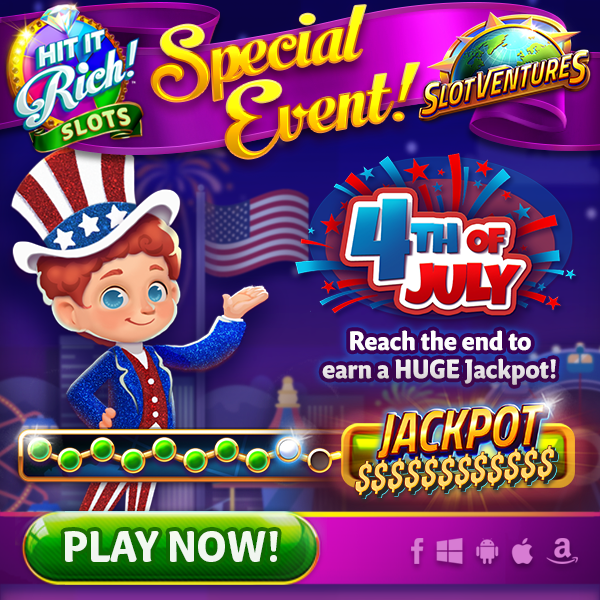 Mobile users, head to your lobby now to start playing Slotventures 4th of July Carnival! Follow the path and complete challenges on each of our Carnival games! You have 5 days to reach the end and earn a HUGE Jackpot!